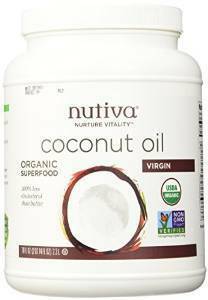 Nutiva’s Extra Virgin Coconut Oil has been the number 1 selling brand in the US for over 10 years. It is organic, non-GMO, and Kosher. If you are cooking with it has a lovely light taste and is available at lots of grocery and health food stores. It is made from freshly picked coconuts in Southeast Asia that are cold pressed almost immediately after shelling. 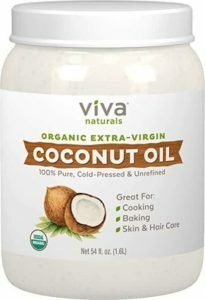 Great for cooking (up to 350 degrees), skin care and hair care. Nutiva donates 1% of sales to sustainable agriculture. 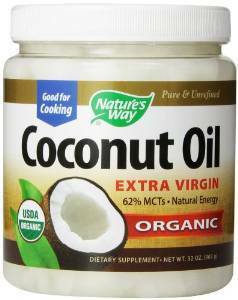 Nature’s Way is another one of the most popular brands on the market in the U.S. It is easily available online and in stores. 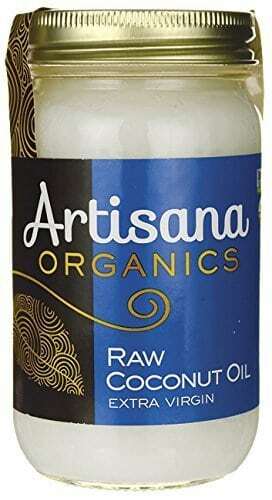 This is organic, extra virgin oil made from coconuts picked in the Philippines. 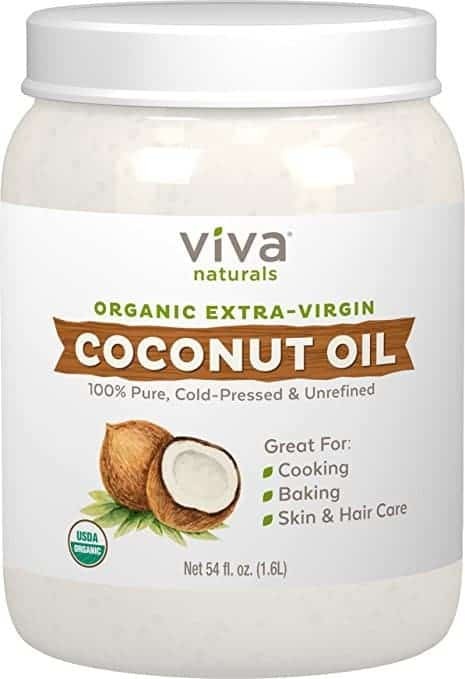 This Viva Naturals Organic Extra Virgin Coconut Oil is another option that is wildly popular; all of the coconuts that go into this oil are hand-picked at the peak for optimal freshness and nutritional value. It is USDA certified organic, non-GMO project verified non-hexane and free of bleach or deodorizers. Can be used as a dietary supplement, for cooking, baking and as part of your natural beauty routine. Artisana is another great option if you are looking for a high-quality product. Not as readily available as the Nutiva you can still find in many health or grocery stores. It is organic, raw, extra virgin, cold-press from coconuts in SE Asia. It also comes in a glass jar, which is preferable over plastic. 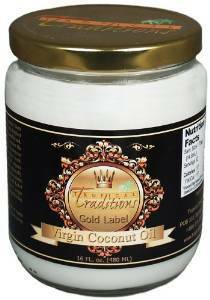 Tropical Traditions uses high quality handpicked coconuts from the Philippines for each harvest and is picked by families who have a long tradition as coconut farmers. Tropical Traditions claim to have higher levels of phenolic antioxidants than other brands, which helps to prolong the shelf life of the oil. This oil is virgin, organic and non-deodorized. 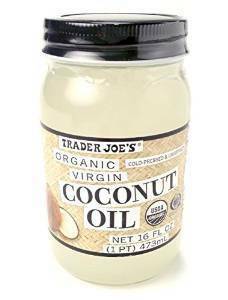 Trader Joe coconut oil is another favorite that comes up a lot as one of the best coconut oils around. It is kosher, all-natural, non-GMO, cold-pressed certified organic and unrefined. The coconuts are grown in the Philippines and processed then packed in California. It comes in a glass jar and has only a hint of coconut flavor. 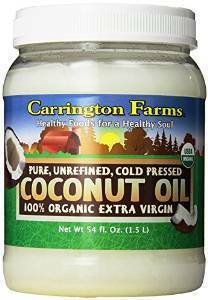 The Carrington Farms coconut oil is another top seller that users love. It is cold-pressed Gluten-free, non-GMO, free of hydrogenated and trans fats, Kosher, organic. Unfortunately, it comes in a plastic, although it is Hexane-Free & BPA Free. Has very little smell or taste and tends to be a bit cheaper than other brands.